And that's what the 12z Canadian and 12z UKMET (if extrapolated) indicate. We've seen enough rain this summer here in south Mississippi and New Orleans area but obviously if in future models starts to show strengthening that's a different story. If people are lost, the Euro is showing 92L moving into the gulf but doesn't strengthen it much if at all. Man, really no organized activity on the GFS today again...every system just kind of poots out on it. Not sure how much confidence I'm having with its outcome. 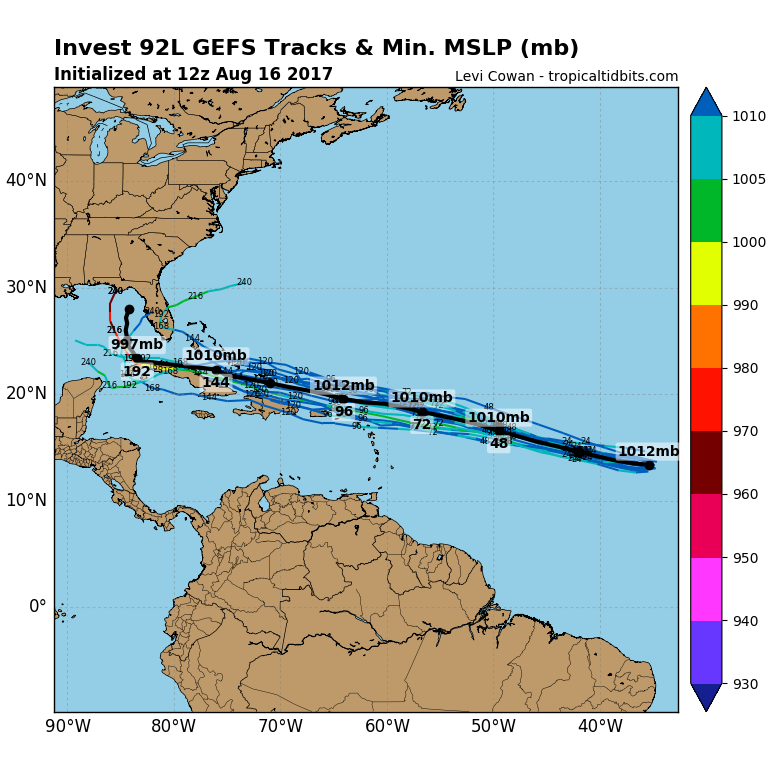 12z Canadian goes with 92L as a hurricane in to the central Gulf of Mexico. 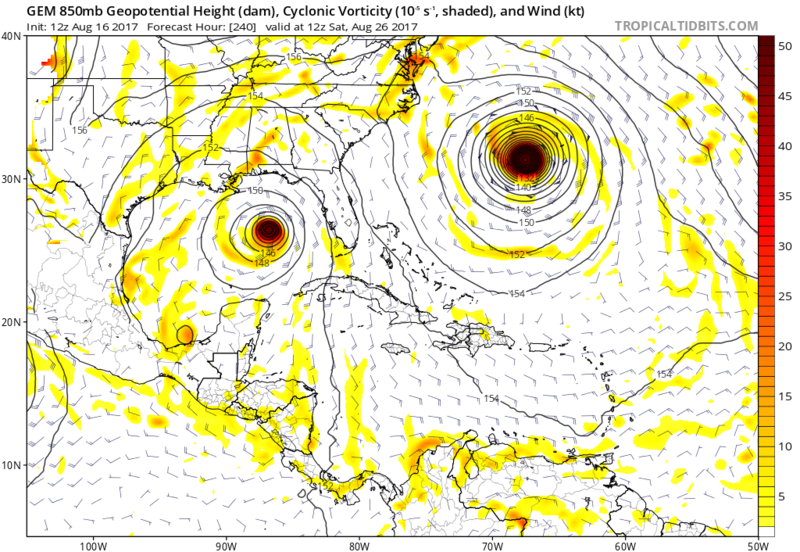 The 12z Euro also sends what ever 92L may become into the Gulf. 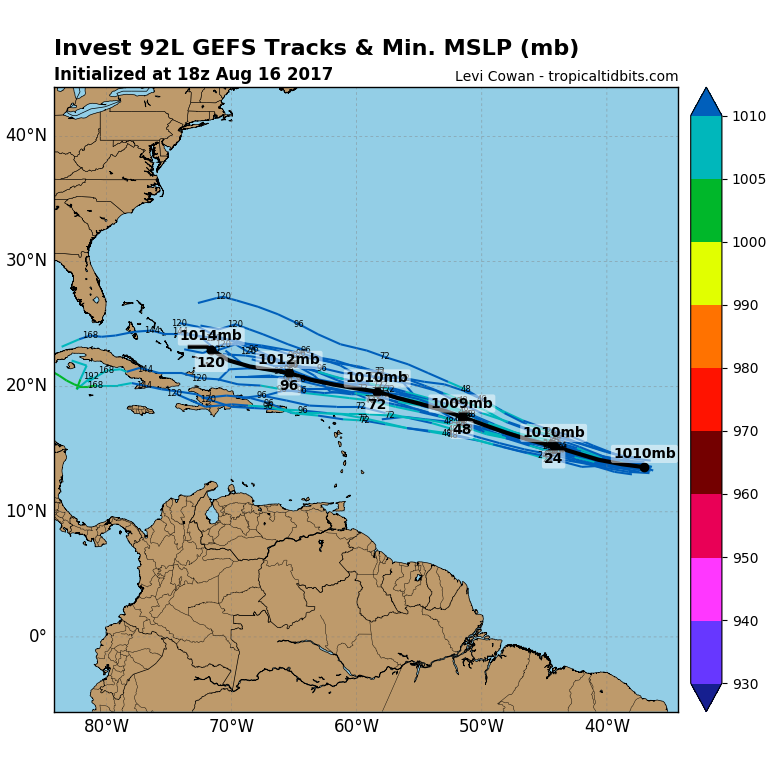 Even though the operational GFS isn't picking up much on 92L, its ensembles are picking up at least a tropical storm entering the Gulf, on a similar track to what both the Canadian and Euro are showing. Also of note is that for what it's worth all models are showing another trough dropping down towards the gulf and east coast late that week into the weekend. Tend to believe it as one is forecast for this weekend then another the following. Could be lots of se shear waiting for whatever may come, if it does. 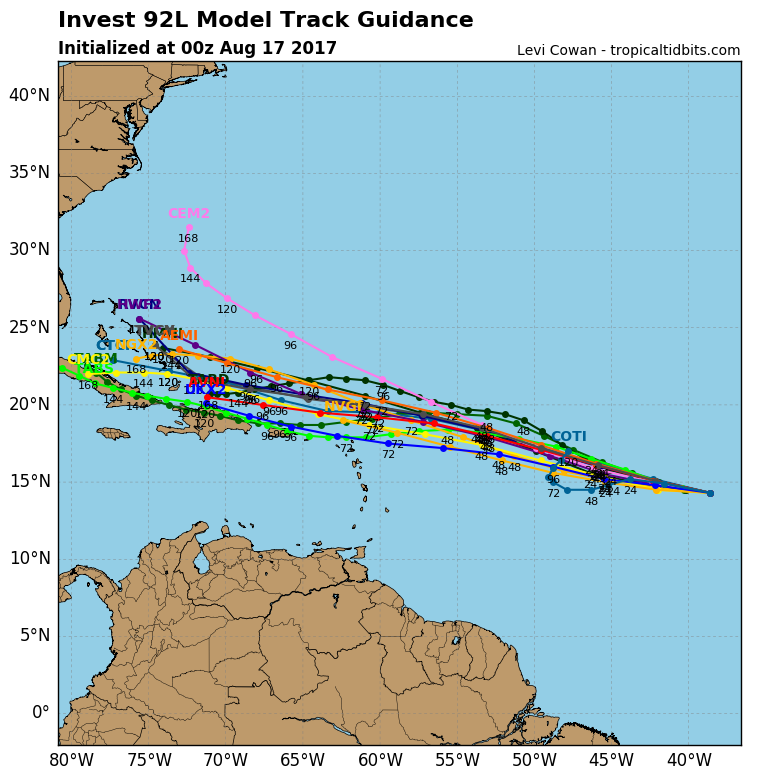 I think 92L is something we really have to watch closely. 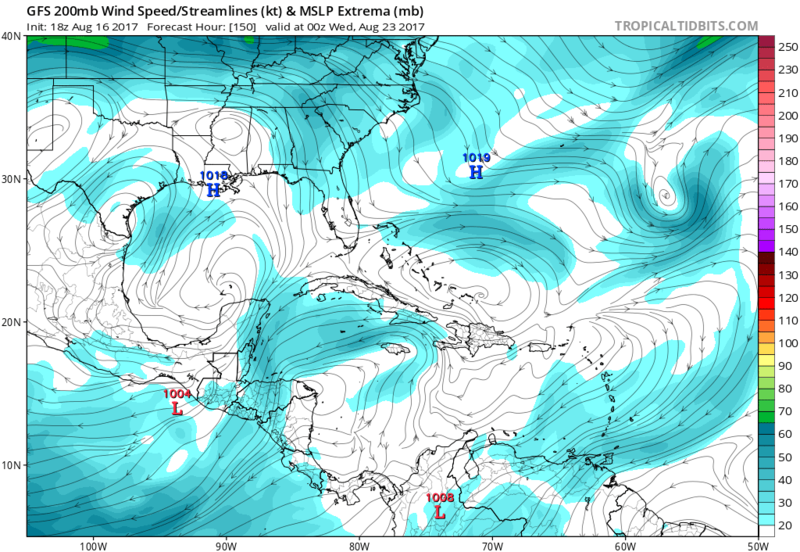 Even though the GFS isn't picking up on any development, if it takes the course as model envelope suggests, the GFS is showing light upper level winds along its future track and continuing that into the gulf as well. Completely agree. I think the key with the future development of this system...as it has been so far this season...will be the amount of interaction and entertainment of mid-level dry air. Definitely need to keep a close eye on the disturbance down the road! Surprised the lack of intensification in the models. Could be a hurricane in the Bahamas. In addition, for what it's worth, CMC(Canadian) has exceptionally persistent over the last several runs with an intensifying hurricane in the Gulf of Mexico in about 8 days time.